The final day of our ZD Marathon has sadly arrived, and I hope that you have taken the opportunity to tune in to check out some of the fun! The team has had a fantastic time playing some great Zelda titles, and providing you with many moments of comic relief. We have seen fourteen games played so far and even though it is the last day, there are still four more titles in the works for today. So far the ZD Marathon has raised over $3300.00 for Child’s Play and you still have all day to tune in and participate, if you haven’t already. 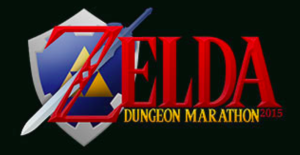 So don’t miss it, this is your last chance to catch the ZD marathon 2015, so check out the live stream and enjoy the final day of some fun Zelda gameplay!